French Broad River Brewery Tour - Asheville, NC. Join the Porters' Pub gang on a five day fun filled combination canoe trip and brewery tour along the French Broad River in Asheville, NC. 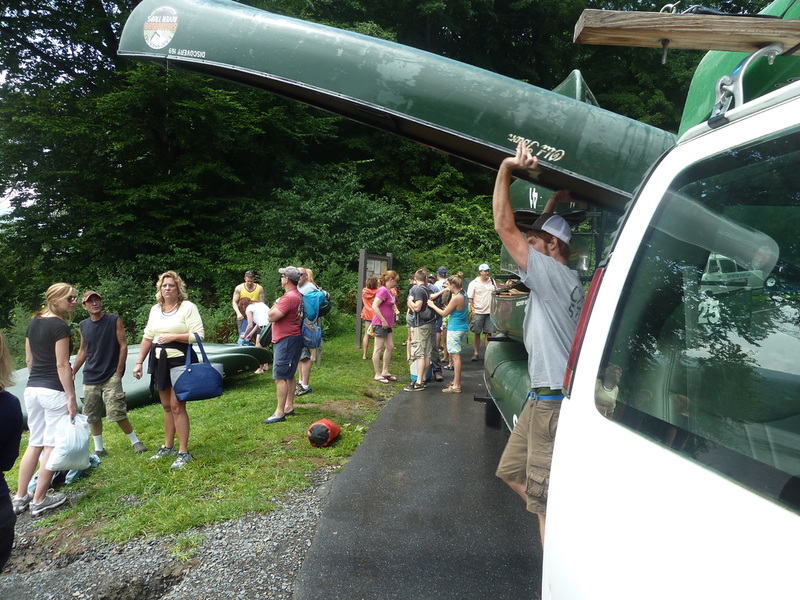 $299 includes canoes and equipment, VIP tours of Oskar Blues and Sierra Nevada breweries, three nights camping accommodations, canoe and vehicle shuttles on the river, a dinner and a lunch on the river, a night in the Ramada Inn Asheville with breakfasts and a pre-departure logistics and orientation meeting. 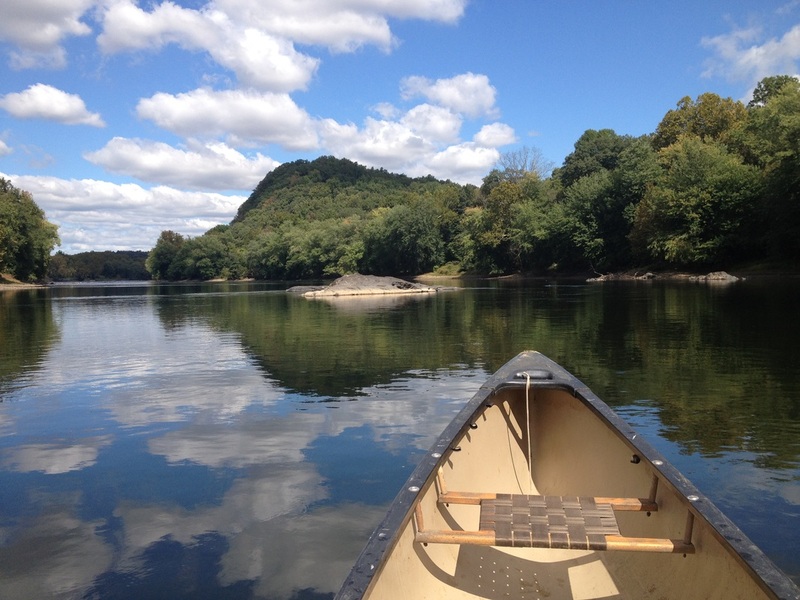 If you like canoeing, camping and craft beer this trip is for you. 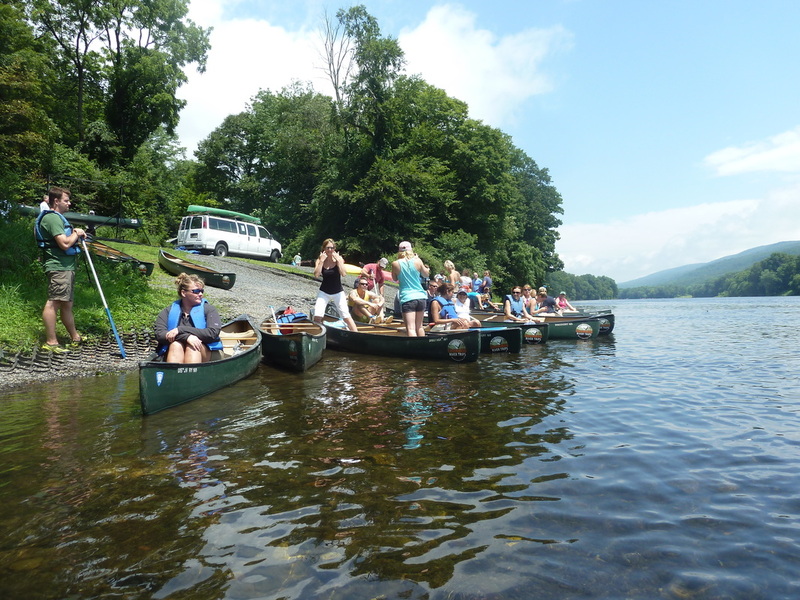 We'll spend two days canoeing, swimming and camping on the French Broad River in Brevard County, NC with visits to Oskar Blues and Sierra Nevada along the way, and a night in downtown Asheville, home to over 40 craft breweries! You'll need to supply some of your own equipment... a tent and sleeping bag (or blanket... it's July for heaven's sake), a breakfast and lunch or two on the river and a cooler for your refreshments. We'll take care of pretty much everything else. We will carpool it down to Asheville, which is about an 8 hour drive, stopping along the way for rest stops and lunch & dinner. Group size is limited to 30 so I'm hoping some of us can hitch rides with others and keep our vehicle count down to 10 or less. We'll figure that out as people sign up. Don't worry about where are you gonna park and how do I get back to my car at the end of the trip? .... I have all those details worked out already. Your job is just to have fun! We will go over any questions regarding camping and logistics at the pre-departure orientation & logistics meeting. The French Broad river meanders lazily through Brevard County and makes it's way to Asheville. The stretch we're paddling is easy to navigate and suitable for beginners, passing through farmlands and woodlands for the most part. The first night we'll stay at the Lazy J Campground, a friendly family run enterprise on the banks of the French Broad River and 5 minutes from the start of our journey. 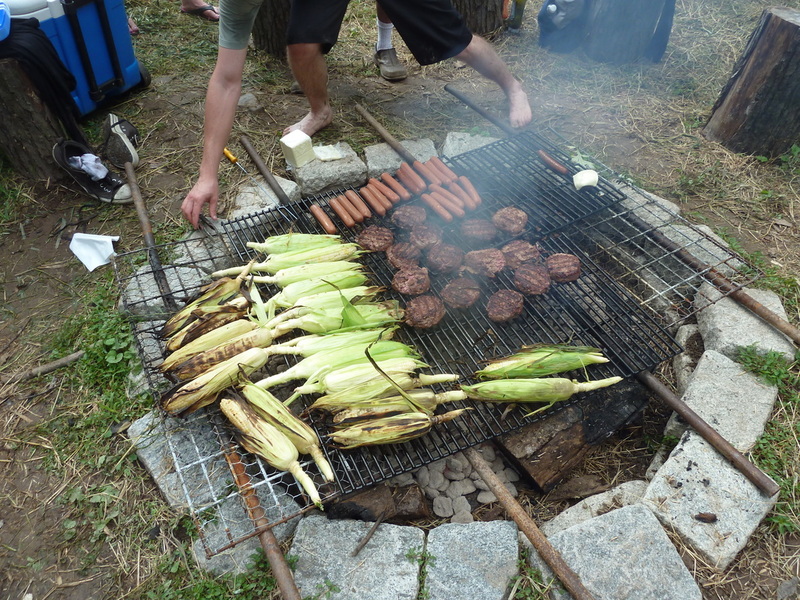 Picnic tables, fire rings, showers and toilets provided. 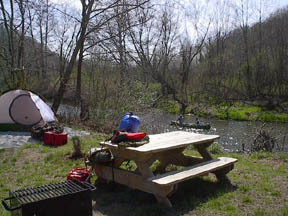 Headwaters Outfitters campground on the river is run by the same folks who are providing our canoes. Picnic tables, fire rings, and toilets provided. If you're in need of a shower you can just take a swim! We'll stay at Riverbend campground on our third night. Picnic tables, fire rings and toilets are provided at this back country paradise. The Ramada Inn Downtown Asheville is just what you'll need at the end of the trip. Nothing fancy, just a soft bed, a hot shower and a free breakfast before we head back home. 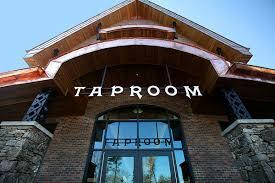 Conveniently located to downtown Asheville so we can enjoy an evening of craft beer and fine food before we go. Meet at Porter's Pub 8am and leave by 8:30. Drive to the Lazy J Campground where we'll spend our first night. After settling in we'll drop the cars at Oskar Blues (our take-out spot) and catch a shuttle back to the campground. Breakfast on your own at campsite. 10:00am hop on the shuttle to Headwaters Outfitters where we'll begin our journey. Lunch and dinner provided. We'll have a leisurely 8 mile/3 hour paddle to our campsite and home for the night. Breakfast on your own at campsite. We will paddle most of the day today with plenty of stops for swimming and snacking. (BYOsnacks). 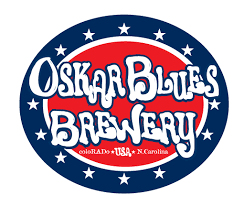 Set up camp at the Riverbend Campsite and walk to the Oskar Blues Brewery for a VIP tour and tasting and the opportunity to grab some dinner. Get up, pack up and hop in our cars (which have been previously shuttled to the Oskar Blues brewery). Then it's off to Sierra Nevada for tour & tasting and some grub. Afterwards it's off to our hotel in Asheville for a hot shower and night on the town! Breakfast served at hotel before we pack up and head back to Easton.